The publisher/platform Medium has just announced that it is relaunching the digital magazine that it acquired last April. Created from the ground up specifically for the Medium platform, Matter is a new online magazine committed to telling deeply engaging stories with fun, feeling and impact. From science and tech to pop culture and politics, Matter stories provoke and entertain while providing a unique point of view on the people and issues of the day. Medium co-founder Ev Williams notes in his blog post that Medium is a platform, and that one of the publishers on the platform is Medium itself (I'm glad he cleared that up). As such the publisher will be using the platform to reach new audiences. "The relaunch of Matter is our most ambitious publishing effort to date, but it’s likely not our last," he writes. "What we care about is enabling the best stories and ideas to be told, to be presented in the best light possible, and to find their right audience quickly and efficiently." Williams goes on to add that readers will likely find Matter using features that will not generally be available on Medium?. The Matter homepage, for example, is considerably more colorful than Medium's own homepage or most most Medium collection pages. In addition to being a publication on the Medium platform, Matter is also going to be a testbed for ideas which may be incorporated into the Medium platform. Given that there is no mention of distribution or a subscription fee, it looks like this is a relaunch in name only. Funded in a Kickstarter campaign in February 2012, Matter was a subcompact publisher that had made a name for itself by publishing a single in-depth article in each monthly issue, while Medium is a blogging platform which launched in 2012 with the goal of offering a new way for readers to contribute to a blog post. 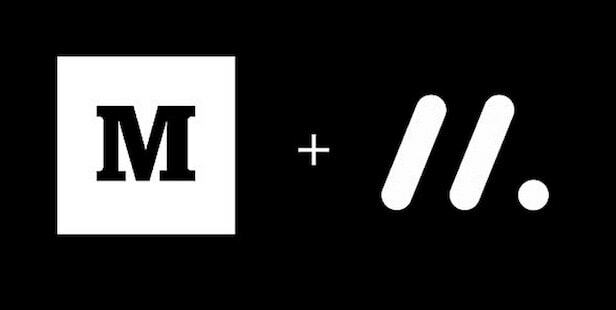 Medium acquired Matter for its expertise last year, moving all of its operations to Medium's online platform. While Medium has garnered rave reviews since it launched, it has also seen a fair amount of controversy. While this platform has invented a new way to publish, a growing number bloggers are saying that it has yet to find a good model for paying writers. Medium is currently paying most* writers (as well as the mid-level independent editors who recruit and manage those writers) on a pay-per-view model where the writers get from 2 to 5 cents per view . As LadyBits editor Arikia Millikan noted in her farewell post, this has led to a rapid turnover of editors and writers as well-written content got little attention while the occasional viral post attracted huge amounts of traffic. The wage disparity turned outrageous. I watched several artfully curated collections dwindle in traffic and drop out while a few black swan posts went viral and the collection editors were contractually bound to receive insane payouts from Medium. The platform also lacks any obvious form of revenue, leading this blogger to wonder just how long this new experiment in publishing will be around.